My favorite part about this month….JUNE GLOOM. Overcast mornings are unbeatable for 5:00am runs & I welcome the clouds! get into the same running condition I was in last summer. Avoiding injuries of course ;) I was able to run 16 miles at a comfortable 7:25min/mile pace, and always felt proud and accomplished with my workouts. This summer I will log miles to build my “base,” increase my long run distance, and train for a few 5k races this fall. Undo a few lbs. I added during the last month of school from stress & social eating. Back to the clean routine and it feels good! A few key things? ‘Injury prevention,’ ‘hydration,’ and ‘nutrition’ are BUZZ words for athletes. We cannot get enough info & lectures on each. Because they are so ridiculously important! Injury Prevention is a topic for another day. Nutrition is my favorite thing to read/learn/experiment/talk about. I am a fan of keeping a food journal. The easiest way for me is to use an Excel spreadsheet to track my meals, calories and workouts. Though my meals and snacks are usually nutritious and healthy, overeating or oversnacking will inevitably lead to incremental weight gain. Even if “extra calories” come in the form of something clean and nutritious such as cashews or avocados. More calories consumed than burned = weight gain. Many fellow bloggers have been praising the Intuitive Eating style. I recently started noticing a trend which abandons calorie tracking, using “intuition” or “instinct” to dictate when/what/how much we eat. Yes, some people find calorie counting or food journaling stressful or time consuming. I think there are pro’s to both approaches of nutritional decisions. But speaking for myself, if I were to use “intuition” to dictate my diet, the results would be ugly. Hormones and cravings would “instinctively” tell me to load up on sodium, carbs, sugar, fat. Stress and boredom would lead me to intuitively decide I am in need of triple chunk peanut butter mocha brownie ice cream. The mid-day sleepies would yell at me to chug another latte….and better grab that peanut butter cookie there just in case. Protein, ya know. Because of my work schedule and commute, I am gone from home from 7:00am to 5:00pm. That is 10 hours, 2 meals, and a couple snacks. In order to bypass vending machines, break-room snacks and impulse buys, I pack a cooler FULL of fresh fruits and veggies, yogurt, oatmeal, nuts, and other snacks. Post-dinner: right now, nothing. Only until I reverse my end-of-semester splurges ;) when I’m at my goal weight, desserts vary from popcorn, a cup of hot chocolate, Dove dark chocolate squares or a big bowl of strawberries! The amount of produce my family buys is unreal. 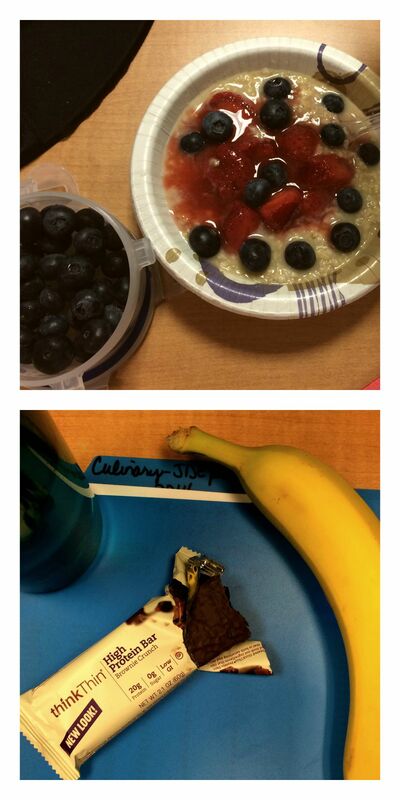 This week we have blueberries & strawberries for oatmeal additions. Bananas for yogurts toppers or smoothies. Grapes and apples for midday snacks. Carrots, bell peppers, celery and cucumbers for hummus-dippers and salad-toppers. Tons of other veggies to steam, saute, roast or grill with dinner. Plus watermelon and cantalope for desserts. Our fridge is so colorful! We are so fortunate to live in a country where this abundance of healthy fresh food is available. Food journaling helps me stay on track to reach my goals. It provides a clear picture of how my calories/carbs/proteins/fats are distributed through out the day. 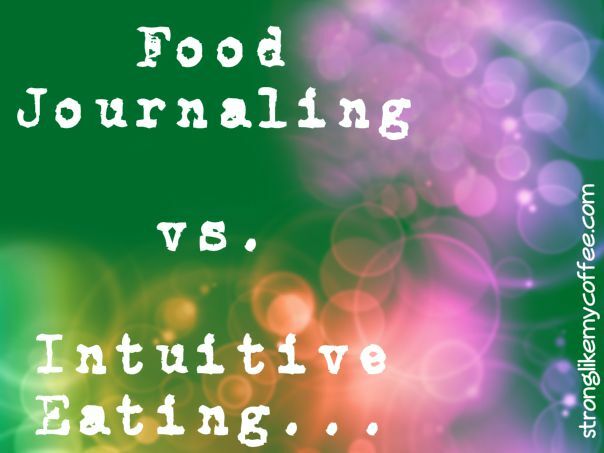 Are you team Food Journal or Intuitive Eating? Posted on June 2, 2014, in Blogging, College, Healthy Habits, Real Life Stuff and tagged Calories, clean eating, college, fitness, fod journal, Food, Fruit, health, intuitive eating, nutrition, summer, Wellness. Bookmark the permalink. 7 Comments. When I’m not trying to lose weight, I find it easiest to eat intuitively (granted I usually crave mostly healthy foods, so it’s okay!). But girl, I feel you on the end-of-semester splurges! I definitely went too far and am trying to cut back now. I’ve never had an issue losing weight, like it usually comes off immediately, but I’m really struggling now :( Definitely going to try to food journal more!! I’m team good journal all the way. I can never just allow myself to eat whatever I want without going crazy! Team Food Journal, most definitely :) I absolutely LOVE your blog, and your dedication to health inspires me! I was wondering if you have any advice for those of us without unlimited access to fresh fruits and veggies? I live in an area of Alabama where food tax is outrageous, and it is MUCH more expensive to buy fruits and veggies than it should be. I just can’t afford to keep my refrigerator stocked with fresh, healthy options for my entire family (three children, three teenagers, two adults). Any advice for eating healthily while not breaking the bank? First off, THANK YOU! Secondly, to tax fresh produce…that’s just cruel :/ I understand the expenses of filling a cart with fruits and veggies. I am a college student who does her own grocery shopping and learned very quickly to shop for what’s on sale ;) Unfortunately produce isn’t as affordable as pre-packaged processed foods, but in order to make healthy grocery shopping affordable you will need to pick out seasonal produce that is on sale each week. Watermelons are great right now, leafy greens are reasonably priced and you can never go wrong with bananas. Frozen is your next best option. Frozen vegetables still retain most of their nutrients (unlike canned) and most grocery stores sell steamer bags of broccoli/cauliflower/carrots/green beans/corn. I hope this helped! I just recently found your blog and I love it. I have been going to a community college getting my gen eds so therefore still living with my dad. He’s terrible with processed food, you would be terrified! I’ve never even eaten asparagus but I’m excited to try it. I try to eat healthy but everything here right in front of me makes it hard. In the Spring semester I will finally be transferring and moving out on my on. I am DETERMINED to eat healthy and will have more opportunity to workout(There’s no gym or ANYTHING in the small town I live in now). Anyways what I’m getting at is that I’ve never had much experience with healthy foods, how to cook it, what to eat, etc. 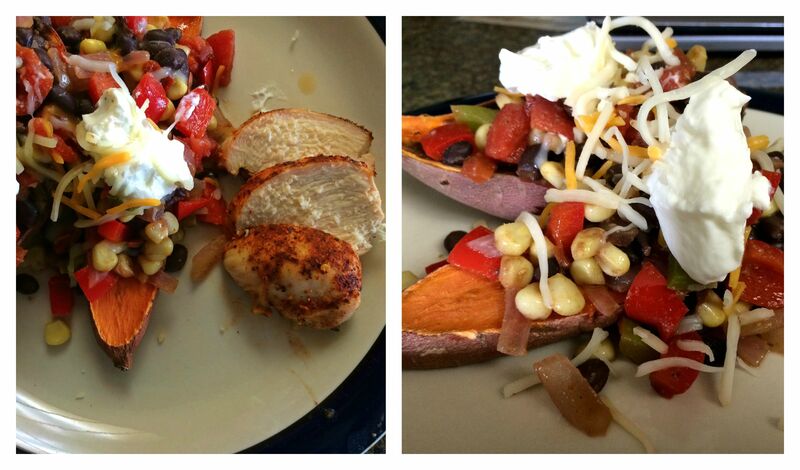 When I move out I think it will actually be easier to eat well but what tips do you have for re-inventing my diet? Do you know any websites or cooks that can help me learn food/meals to make. I totally get what you are saying, but I’d encourage you to learn just a little bit more about Intuitive Eating. First of all, Intuitive Eating is not for weight loss. It is to help people stop feeling crazy about/around food. It also may help people find their natural body weight. Intuitive Eating may cause weight loss . . . or weight gain . . . or nothing at all. It depends on what is one’s natural “set weight.” By truly giving oneself total, judgement-free permission to eat whatever one wants . . . yes, it often does start off with deep dives into the ice cream or chip bag. But over time, intuitive eaters LISTEN to their body’s TRUE cravings. Your body wants to thrive. Your body wants to maintain its current weight (in most cases). Your body wants to be taken care of!